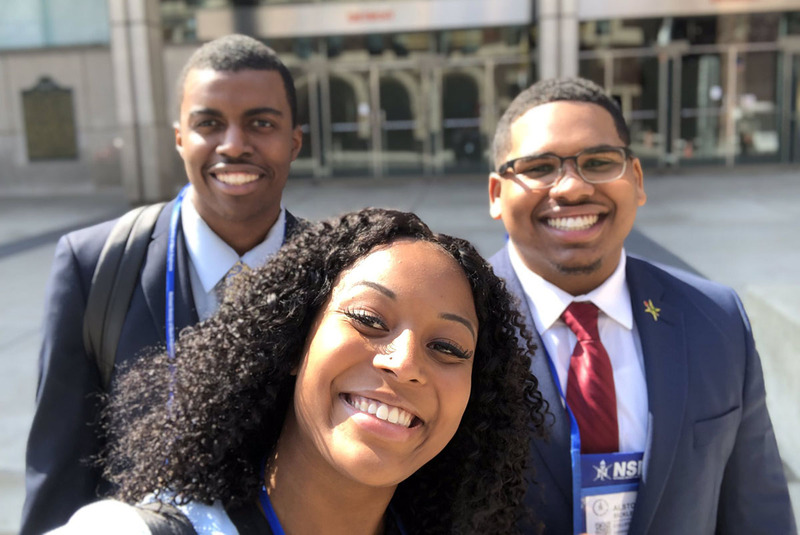 While in Detroit, UK students took advantage of the networking opportunities made available through the career fair at the National Convention. Attendees report having received employment offers from Boeing, Microsoft, Goldman Sachs, Honeywell, Nike, the Tennessee Department of Transportation, among others. Recently hired civil engineering assistant professor Shakira Hobbs was also invited to attend and present at the Academic and Research Leadership (ARL) Symposium, a selective program which provides an opportunity for seasoned researchers to nurture connections with their peers, and be excited and inspired by the latest discoveries and technical advances across many disciplines of engineering and science. 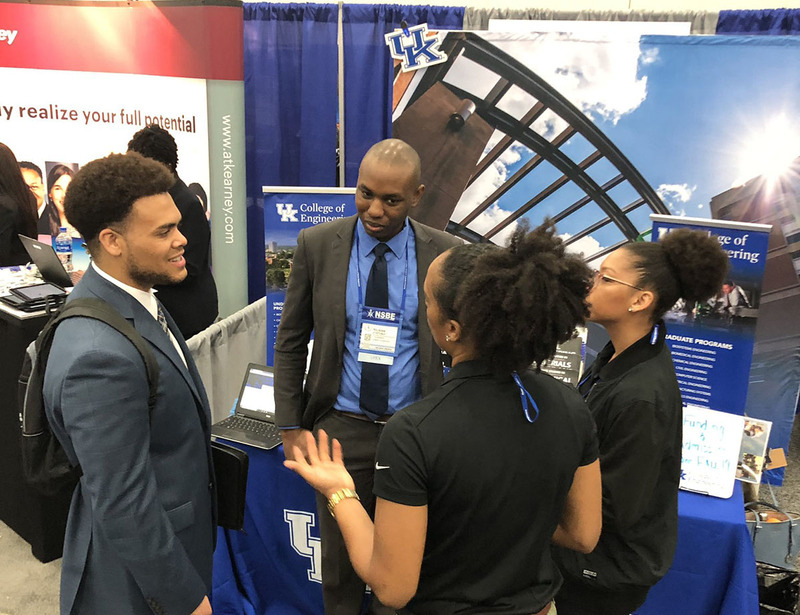 Computer science assistant professor Corey Baker also attended the convention with a focus on recruiting graduate students. 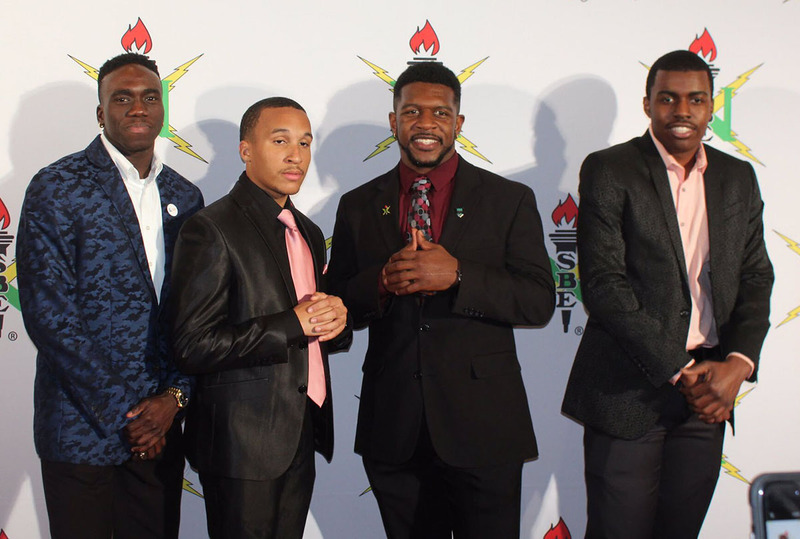 UK NSBE is advised by civil engineering assistant professor Gabriel Dadi. 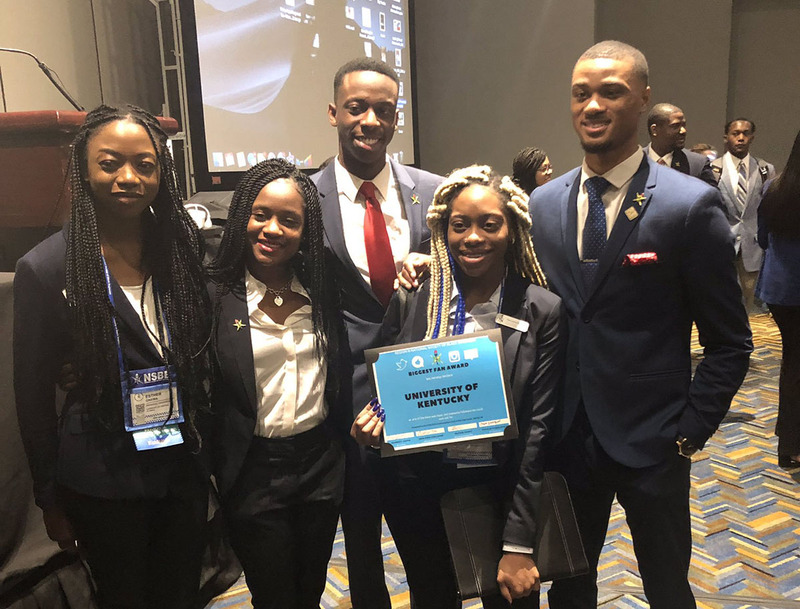 You can learn more about UK NSBE here.